This article is my fourth in the series, where I have been sharing the contents of my makeup stash with you (previous articles here, here, and here). 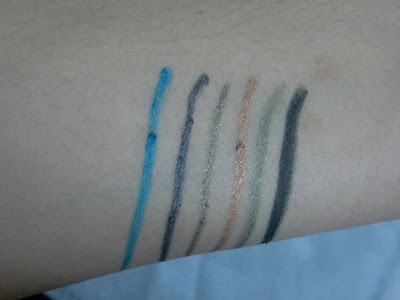 Today, I would be sharing the pics and swatches of the eye pencils which I currently own and use. 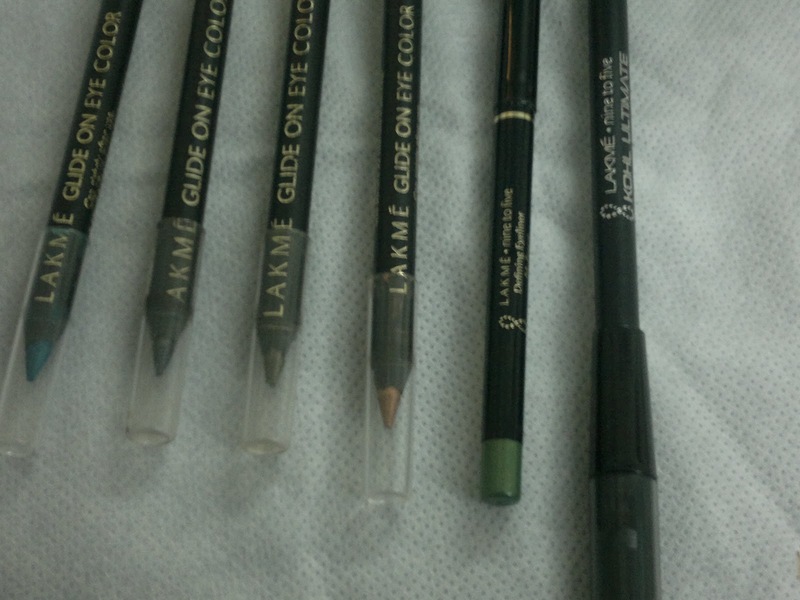 Let me begin by saying that I love eye pencils. 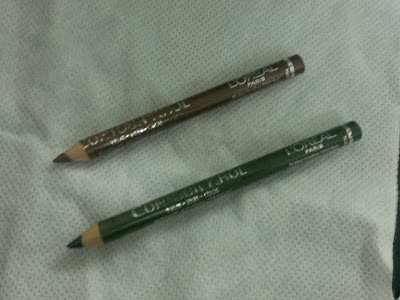 I have them in almost all the basic colors. 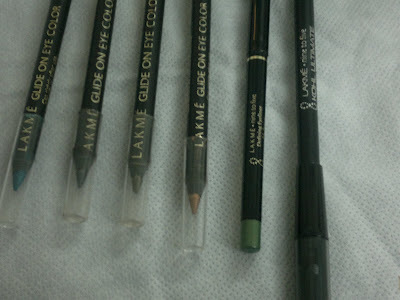 I find them great for daily use, as I don;t have much time to put on eyeshadows daily and these help me bring a pop of color on my face (would be soon sharing my 5 minute daily makeup with you guys shortly). 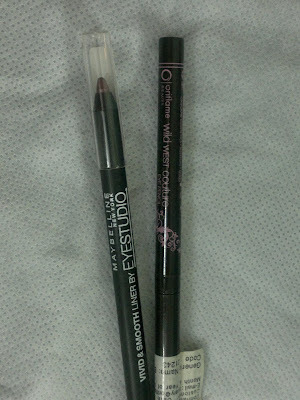 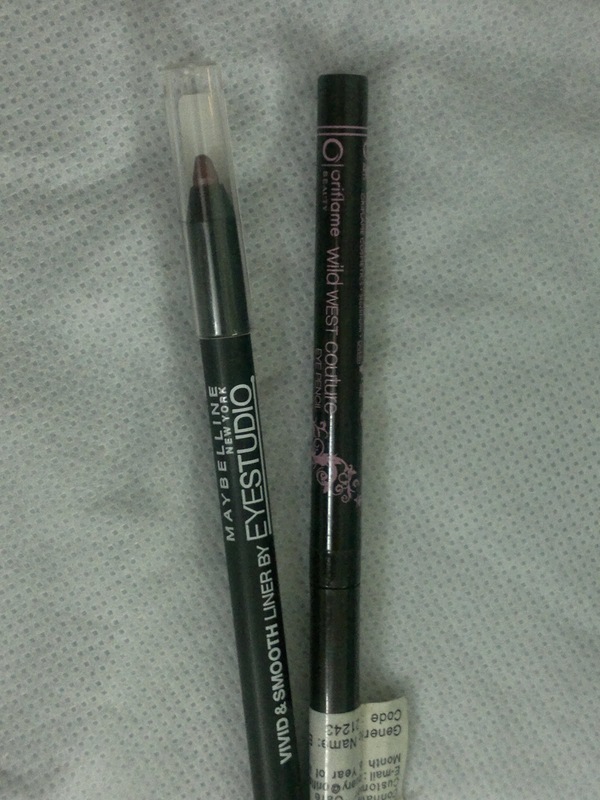 So friends, these are the eyeliners, kajals that I currently own. You would think that there would be no wishlist at all but alas!!! 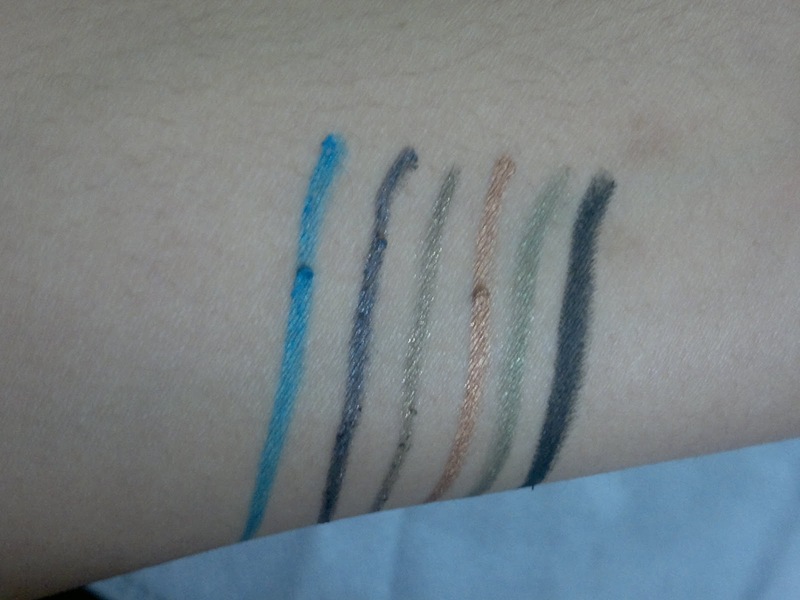 Here it comes: MAC Fluidlines (especially Waveline), Inglot Gel Liners,and some bobby brown liners as well. 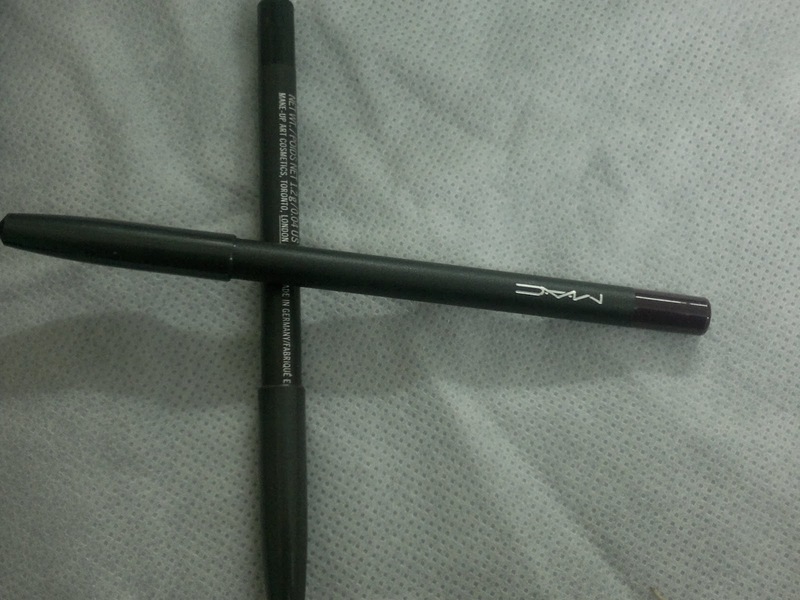 thanks darling. 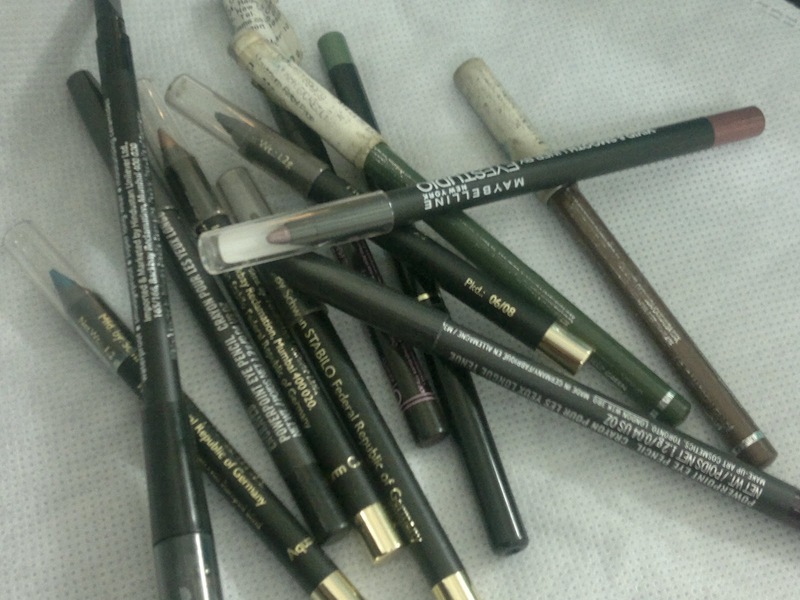 But as you know when it comes to makeup, we can never be satisfied.